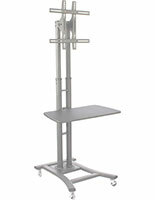 These flat screen television mounts, LCD TV stands are height adjustable to conform to different needs of businesses. 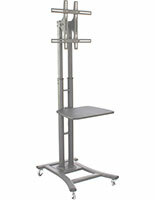 The unit can be displayed in (8) fixed height positions ranging from 44" to 71-1/2". 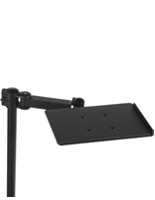 LCD TV stands include mounting arms that feature extenders. 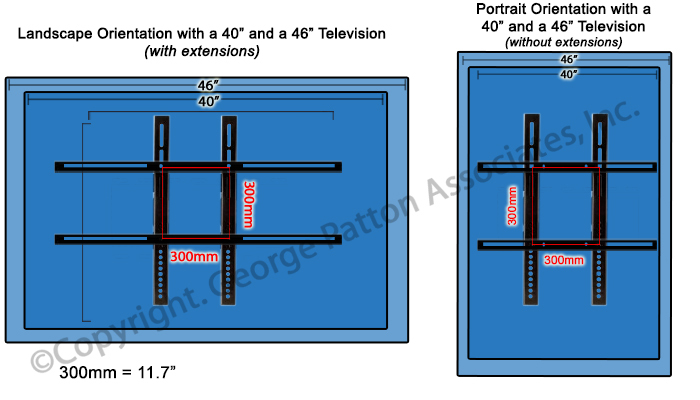 These arms are smaller in design to ensure arms are not visible when monitor is mounted. 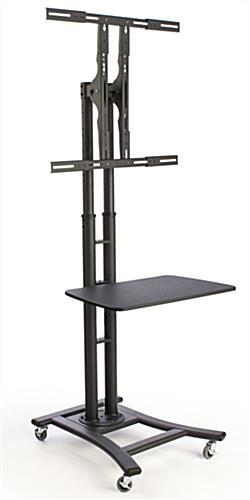 In fact, these LCD TV stands can display your flat screen television in either landscape (horizontal) or portrait (vertical) orientation. 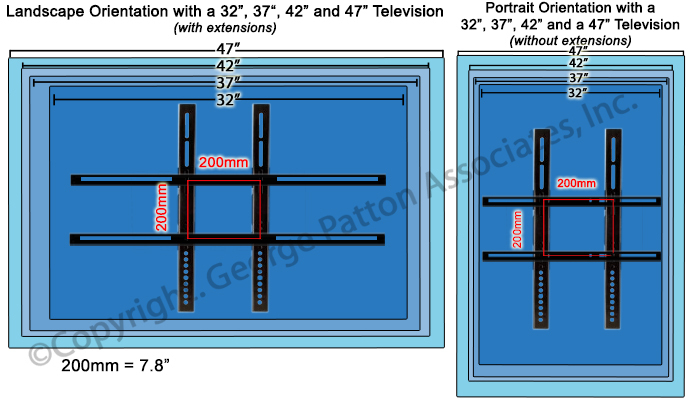 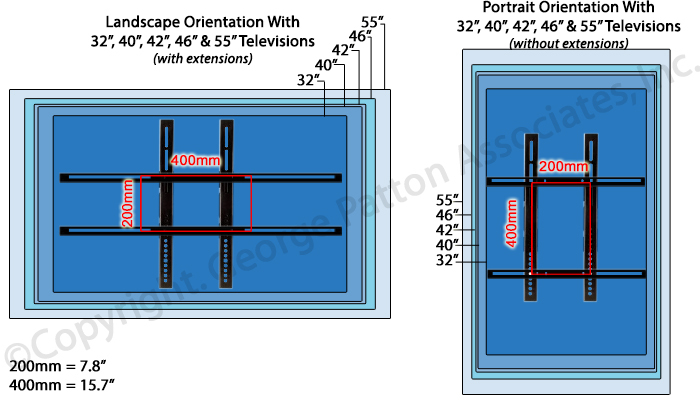 The extenders allow a larger range of televisions to be used, ranging from VESA size 200mm x200mm to 600mm x 716mm. 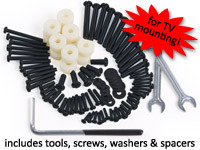 These LCD TV stands include the necessary screws, spacers, and washers to mount most televisions. Some monitors may require specific screws that can be purchased at any local hardware store. 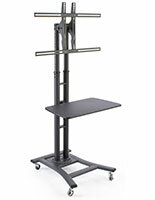 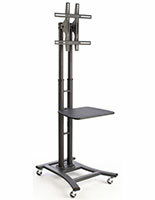 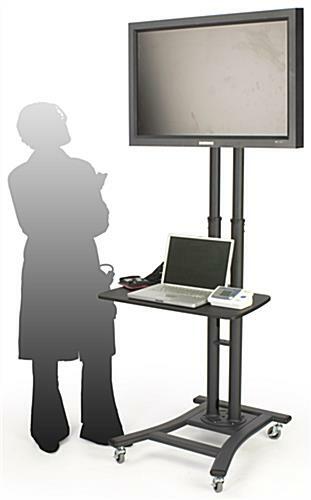 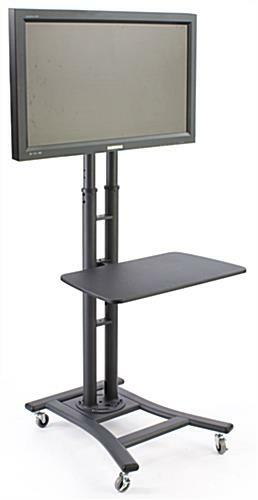 LCD TV stands have a 28" shelf included for the placement of electronic peripherals, merchandise, or brochures. 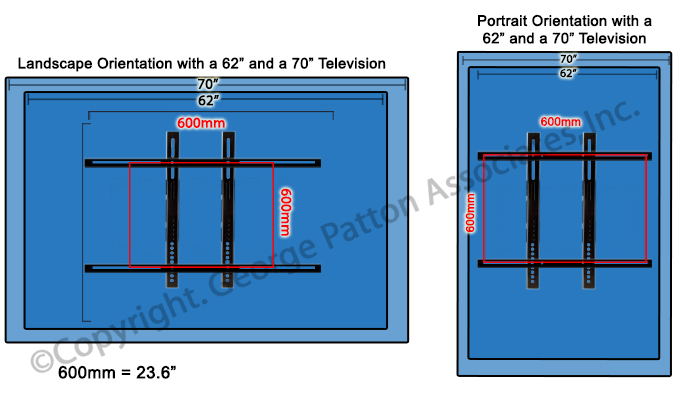 The shelf is adjustable to (3) positions, and the bottom of the shelf features clips for wire management, much like glass cabinets found in furniture stores. 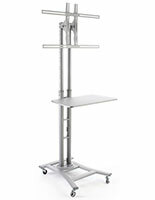 Plasma pedestals, LED monitor mounts, and other LCD TV stands have lockable wheels on the base. 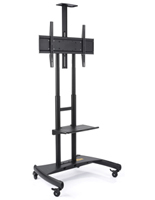 These wheels allow the display to be easily transported between rooms, and then stabilized once in place using the locks. 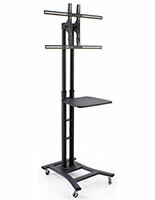 LCD TV stands ship unassembled and include the tools and instructions for fast and simple assembly. 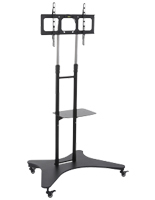 These flat screen plasma displays, like glass entertainment centers and furniture cabinets, are made from durable metal and feature a black finish that blends in with any surrounding.